KoopaTV: Kirby Star Allies is RELEASED! Poyo! There you go. I had to go to some pretty far-off depths, but the cooperation jump/friend bounce WAS documented somewhere. That website won't exist in a couple of years because Flash won't be able to be rendered anywhere. Consider this to be a very partial archive. 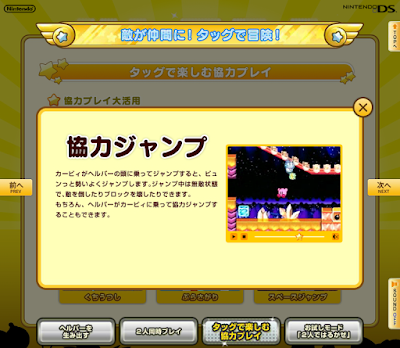 With all of the returning music, copy abilities, and characters coming back to Kirby Star Allies, you can consider that to be an archive of sorts for the Kirby series as well! I'm wondering how much my absence of actually buying Kirby games instead of posturing as a fan will affect my experience. 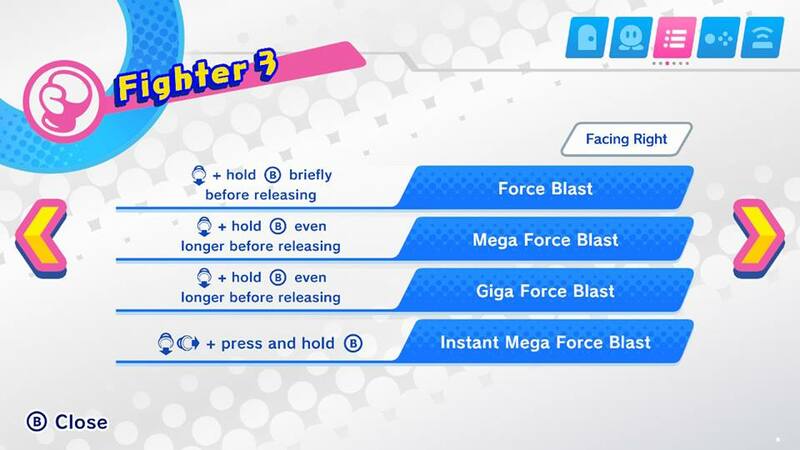 Will it improve it because a lot of incremental features that came from other Kirby games (Kirby's Return to Dreamland, Kirby Planet Robobot, Kirby: Triple Deluxe) will be new to me, such as the whole Water Copy Ability and Stone's Stone Uppercut move? Plus, Fighter can use a real Street Fighter input to do a Hadouken equivalent now! I don't know when that was implemented, but it's a nice touch. It's really called Instant Mega Force Blast. There are lots of Flash things you should play before the end of Flash. One of them is a 2D platformer that is almost as good as Kirby Star Allies, and it's called Soviet Missile Run! You can play it directly off KoopaTV right here. Like everything else on KoopaTV, it's free. After playing the game and all of its DLC, Ludwig still recommends Kirby Star Allies in the form of his complete review of the game, here! Since I'm still attempting to 100% Odyssey and I have not even touched Breath of the Wild yet, I'm going to pass on Kirby for now but may pick it up later. One thing that is really making me hesitant about purchasing it is the cost. The past main games were short but for $40 were still reasonably priced at least to me. Based on reviews of Star Allies, this entry is even shorter and cost $20 more simply because it's on a home console. I know there is some post game content as well just like any other Kirby game, but from what I read, it can become quite repetitive quickly. Also, this game apparently has less collectibles than the past few entries which are some of my favorite aspects of platformers. For now, I'm going to wait for more information about the new Yoshi game to release and compare it to Star Allies. While Yoshi's Wooly World was rather simple if you were just casually strolling through the game, achieving 100% could be quite challenging especially due to the bonus stages. Plus, it also had a great soundtrack and visually appealing level designs. As much as I like Kirby, I just love collectathons even more. Kirby games have gone on sale before, so you can try to look forward to that. There is a strong possibility that Kirby Star Allies will receive one of KoopaTV's few and far between game reviews, so stay tuned on that.